There is a limited number of spaces available for this event. As this is a discussion, you are expected to have read the provided texts before attending. Please reserve a spot by sending an email to platformtm@gmail.com. We will also provide you with a copy of the texts once you have RSVP’ed. 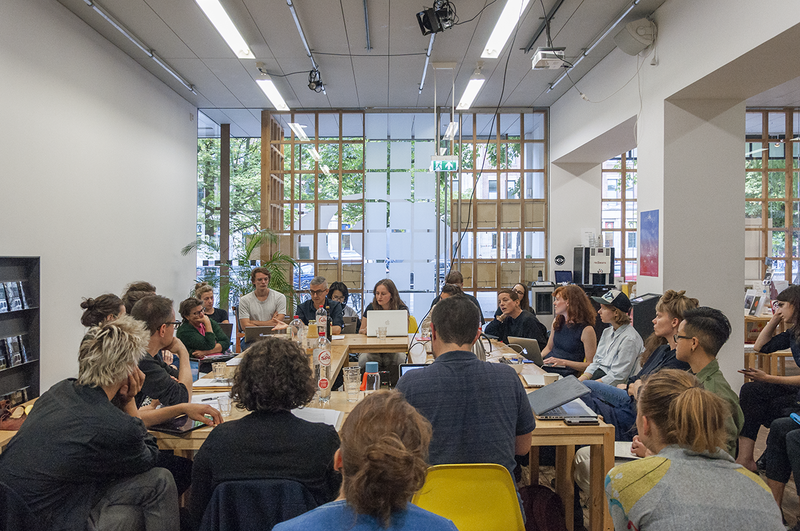 The Reading Room is an event series dedicated to creating a community-oriented, public platform for encounters with contemporary ideas on art and society. At its core, The Reading Room series revolves around the reading of texts provided by invited guests – cultural theorists, philosophers and curators – who join our diverse community in an open discussion while providing context and perspective. The Reading Room is organised by Jonathan Reus, Sissel Marie Tonn and Flora Reznik. The program is supported by Stroom Den Haag and the Dutch Creative Industries Fund, and is produced by the Instrument Inventors Initiative.